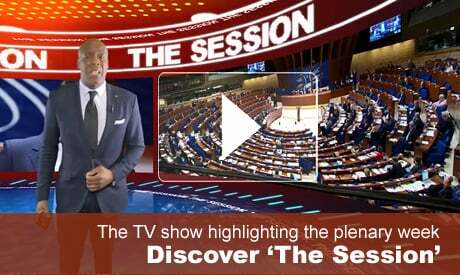 The functioning of democratic institutions in Turkey took centre-stage at the Spring plenary part-session of the Council of Europe Parliamentary Assembly (PACE) held in Strasbourg from 24 to 28 April 2017. Other highlights on the agenda included debates on the situation of human rights in the North Caucasus, the increased income inequalities and the protection of refugee women from gender-based violence. His Majesty the King of Spain and the President of the Hellenic Republic, Prokopis Pavlopoulos, addressed the Assembly. The Council of Europe Commissioner for Human Rights, Niels Muiznieks, presented his annual activity report 2016. Thorbjørn Jagland, Secretary General of the Council of Europe, answered questions from parliamentarians, and Ioannis Kasoulides, the Cypriot Foreign Minister, spoke in the context of the Cypriot Chairmanship of the Committee of Ministers. Other highlights of the session were the debates on ‘25 years of the CPT, achievements and improvements needed', ‘Abusive use of the Interpol system: the need for more stringent legal safeguards' and ‘The protection of the rights of parents and children belonging to religious minorities'. There were also requests for urgent debates on ‘Political consequences of the new Israeli Settlement Regulation Law', the 'Alarming developments in Hungary: draft NGO law restricting civil society and possible closure of the European Central University', and for a current affairs debate on ‘European values under threat: addressing rising populism, xenophobia, antisemitism and Islamophobia in Europe'.